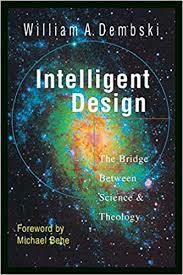 Intelligent Design essays look into the explanation that certain aspects of the universe cannot be explained through natural selection, but point instead to the existence of a higher intelligence (God). Intelligent Design research papers can be produced by Paper Masters that follow your guidelines. Below is just a sample introduction. Intelligent Design is the latest phrase in the attempt to teach creationism in schools. Proponents of the theory maintain that certain aspects of the universe cannot be explained through natural selection, but point instead to the existence of a higher intelligence (God). Intelligent Design was created by conservative Americans as a way around the decision by the US Supreme Court in Edwards v. Aguillard, which banned the teaching of creationism in US schools. However, in the case of Kitzmiller v. Dover Area School District, the US District court ruled that intelligent design was not a science. Following the Edwards v. Aguillard decision in 1987, Charles Thaxton edited the book Of Pandas and People in which every reference to “creation” or “creationism” was changed to “intelligent design.” The National Center for Science Education has condemned the book as promulgating pseudo-science. Intelligent design is unable to utilize an experiment that illustrates the hypothesis is correct. Christian Science research papers examine a religious branch that believes in God, Jesus Christ, and the Bible and also believe that everything material is an illusion and the only thing that is real is the spiritual realm. Christian Education research papers discuss education complexities of society today demonstrate the growing need for every person to have a solid foundation in the Bible. Christian Church research papers explore the history and beliefs of Christianity. Scientific Creationism - In the 1970’s, creationists renewed efforts to find a place for creationism in public education. Paper Masters writes custom research papers on Intelligent Design and look into the theories explanation that certain aspects of the universe cannot be explained through natural selection, but point instead to the existence of a higher intelligence.